Pop up campers are excellent for people who don’t have a big tow vehicle, small budget or want a camper that’s easy to store. While traditional pop ups or tent campers are excellent, they also come with some downsides due to the canvas sides. That’s where hard sided pop up campers come into play. 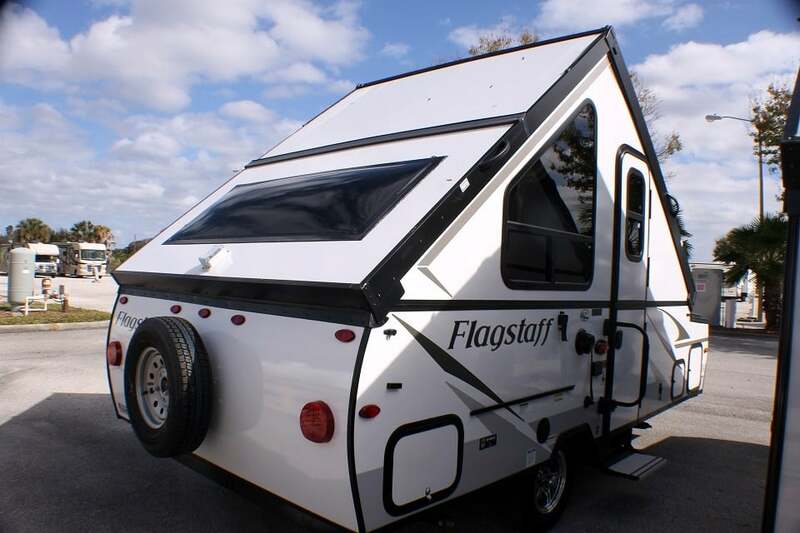 Pop up campers with hard sides blend the benefits of a pop up with the benefits of a travel trailer, making one of the best alternatives to both camper types. Here are some of the advantages you can expect to enjoy if you have a hard sided pop up camper. Traditional pop up campers come with canvas sides. This is why they’re often called tent campers. The side of the camper is a lot like a tent. While this construction works well, canvas does require some care. It doesn’t last forever, and when it needs to be replaced, it can be expensive. With a pop up that has hard sides, you don’t have to worry about canvas. While you still have to make sure the walls of your camper is in good condition the amount of time you’ll need to spend doing so if far less. Also, you’ll likely never have to replace sides. When it comes to keeping your camper warm or cool, a traditional camper isn’t your best friend. The canvas walls don’t hold in heat very well or keep cool air inside if that’s what you’re trying to do. While many traditional pop ups do have air conditioner units to help you stay cool, you’ll find it’s much easier to regulate the temperature inside a hard sided pop up. Pop ups with hard sides will be able to hold heat in easily and help keep you cool easier during the hottest of trips. Privacy is important on a trip. While any pop up camper will give you the visual privacy you need, a pop up with hard sides will offer more privacy from any prying eyes. It will also offer some auditory privacy, too. If you get stuck with a noisy person at the campsite over, a hard side camper will muffle their noises better than a traditional pop up. From a security standpoint, you’re better off with a hard sided pop up camper, too. This is important to help protect your things from would-be thieves, but it’s also helpful when it comes to wildlife. Most animals will be more scared of you than anything, but depending on where you’re camping you may have to watch out for bears, mountain lions, etc. A pop up with hard sides will help keep you and your things safer than traditional pop up can. Have anything you think should be added? Leave a comment below!